air joe is proud to serve the Hanover Park community! We are proud to be a part of this community, serving your heating and air conditioning needs: air joe is listed in many directories under titles such as : Hanover Park Heating Contractors, Hanover Park Heating, Hanover Park Air Conditioning, Heating Repair, Air Conditioning Repair, Hanover Park Heating and Cooling Contractors, Rooftop HVAC Repair, Ductless AC Systems, Boiler Repair and Hanover Park Heating and Air Conditioning Contractors. We are here for you whether you need furnace or air conditioner repairs, heating and cooling estimates, equipment replacement or new installation of a furnace, air conditioner, heat pump, rooftop heating and cooling or comfort products to improve the air filtration for your home or business. About Hanover Park, IL - Happy to be your hometown Heating & Air Conditioning Contractor! 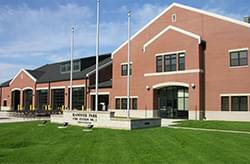 Hanover Park is an Illinois village located in both Cook and DuPage Counties, and as of 2010, the population was approximately 38,000. This Chicago suburb consists of 6.43 square miles of total area, and it was incorporated in 1958. Hanover Park offers a station on the Metra Milwaukee District/West line that takes commuters into the city, and daily service also goes to Elgin. The climate of the Hanover Park area has four distinctive seasons, and it is prone to severe weather that can range from powerful winter storms to tornadoes in the summer. There are several attractions located in the Hanover Park area that might appeal to residents and visitors. The Ontarioville Art Center is a popular destination for art enthusiasts, and golf fans might prefer a trip to the Green Valley Golf Range. The village also maintains 21 parks that encompass over 128 acres of space, so outdoor recreational opportunities are plentiful.